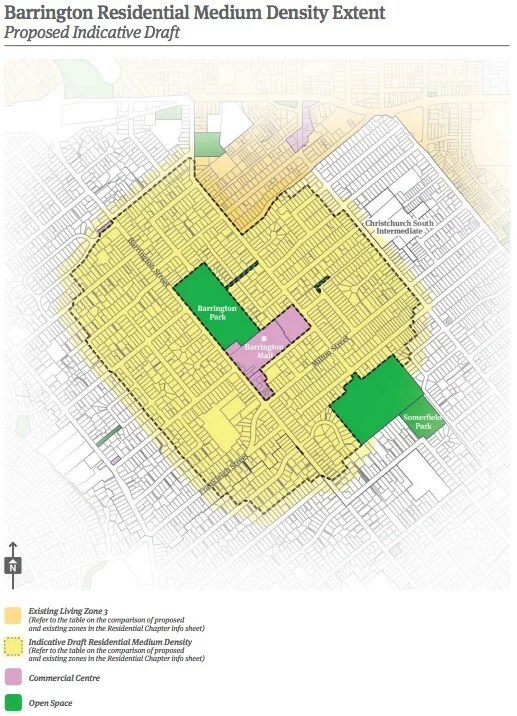 The Christchurch City Council is reviewing its district plan, and we live in/near an area that might be subject to rezoning. 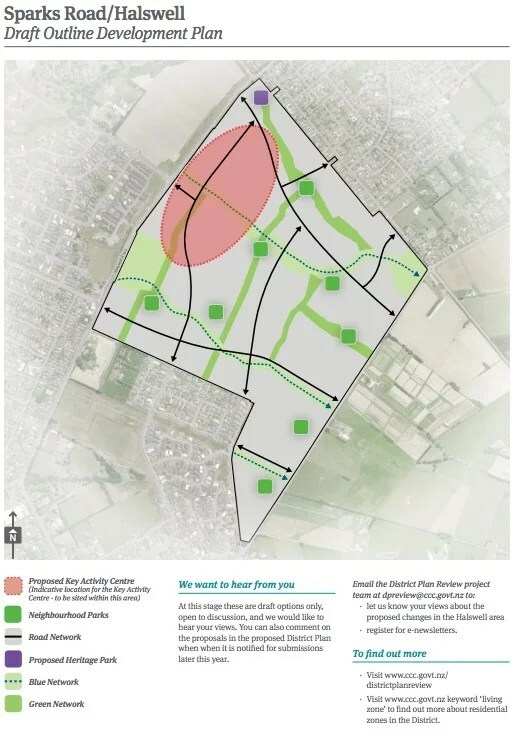 The Christchurch City Council, like they’re supposed to, is consulting with residents. They’ve sent out information about the proposed zoning changes to ratepayers who might be affected. All good so far. Except it seems a bit more like an exercise in looking like they’ve consulted with the public. Let me explain. I’d argue that a lot of people in Christchurch don’t want to voluntarily deal with more bureaucracy than they need to (think EQC and their insurance company). Because of that a balance needs to occur between sending sufficient information and that information being clear and concise (to avoid as many people as possible putting your mail in the ‘I don’t really care or have time for this’ pile). I’d tentatively argue that including the Draft Residential Chapter (pdf), Draft Commercial Chapter (pdf), and District Plan Review (pdf) information sheets in these mail outs resulted in information overload for many people who would have been better served by simply being sent the smaller (i.e. double-sided A4 sheet), easier to read and more relevant What’s Happening In Your Area sheet. When the actual draft chapters are hundred of pages clear and concise summary information sheets do need to be available, whether they’re mailed out or not. Some of the information included seems like it’s been copy and pasted from internal material with a very different target audience. Three sentences into the main body of the information booklet Draft Residential Chapter the words “density” and “greenfield” are introduced, both without being defined. Other gems include “housing intensification”, “medium density housing” (defined on the very last page of the booklet), and “city-wide intensification mechanisms”. The “city-wide intensification mechanisms” enable “quick gains”. To the Council’s credit examples are given for what “quick gains” are. “Civic park”, “heritage park”, and “green corridor” are less egregious examples from another information sheet. Include so little but so much information in step one that for anyone to properly understand it in order to make an informed submission they’d have to read a lot more information or attend a consultation meeting (or both). Schedule all but one of your public consultation meetings (pdf) for 5:30pm-7:30pm on weekdays. Ignore the fact that residents might still be struggling to navigate the road works on their way home from work at this time, or might be having dinner, or might be putting young children to bed. Get bonus points for sending letters out that are advertising some of these meetings eight days before those meetings are scheduled. What’s your number? 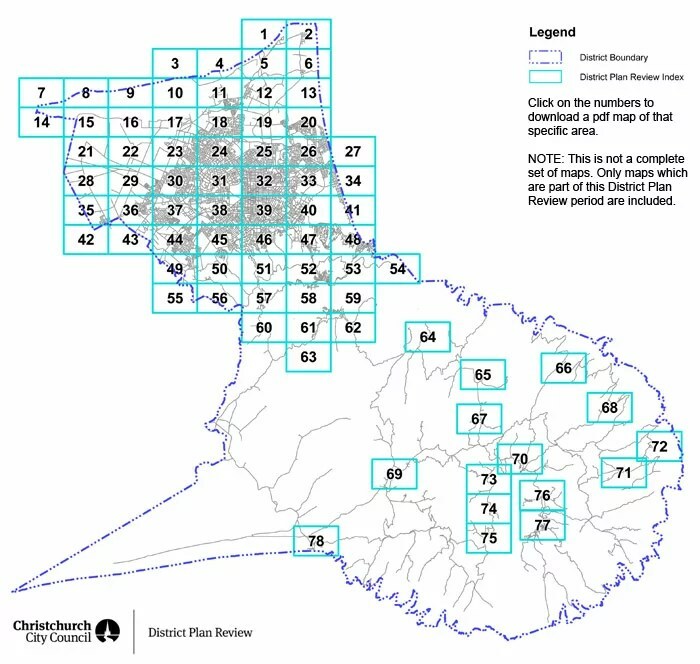 To have a look at the district plan review zone map you need to guess which section of a tiny map your house is in. It took me a few tries to find our house, but perhaps that’s my poor sense of direction. Or maybe the City Council could, you know, label areas with names, or let you search by street. People like things being explained with pictures and diagrams. They might even skip reading altogether and just look at the diagrams. That makes the diagrams that are used pretty important. 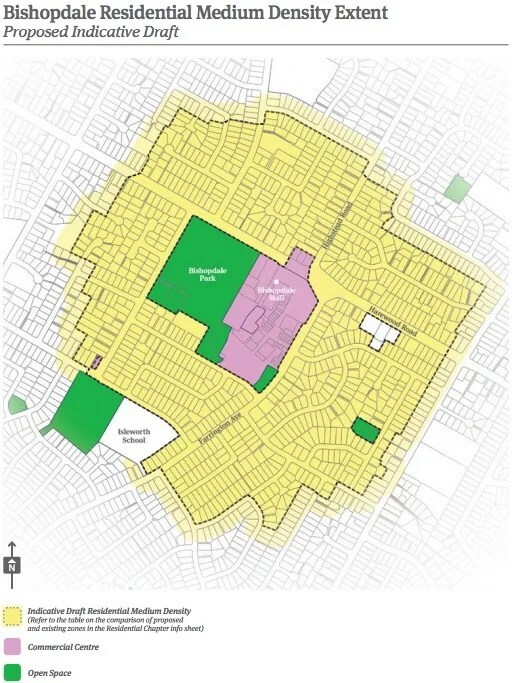 In the area of Halswell (pdf) the City Council wants to introduce a commercial centre, quite possibly one of the most controversial things you can do in a suburban area. 15 hectares is about 15 rugby fields. Let’s compare the map that’s on the back of Halswell’s What’s Happening In Your Area sheet with some other area maps: Barrington, Bishopdale, and Riccarton. Barrington. Landmarks are named. The commercial centre is named ‘commercial centre’. All is well. Bishopdale. Where are we? I can orientate myself because things with names are named. The commercial centre is keyed as a ‘commercial centre’. Awesome. Riccarton. Where am I? Oh, I’m by Westfield Riccarton, which is named on the map. And it’s pink because it’s a commercial centre and that’s the colour for commercial centres. Cool. Halswell. Let’s play a game called ‘find my house’. Does that tiny road say Halswell Road along it? Isn’t there a subdivision in that blank gap in the top-left corner now? Why are proposed roads squiggly arrow lines? What is a blue and a green network? By ‘proposed key activity centre’ do they mean ‘commercial centre’? (Yes. Yes they do.) Who really knows? It sure looks like the City Council doesn’t want anyone to work out what’s going on. It’s also interesting to note that Halswell’s public meeting was on February 27, but there’s no news coverage of it or the proposed changes in general. What’s confusing to the public is confusing to the media too.